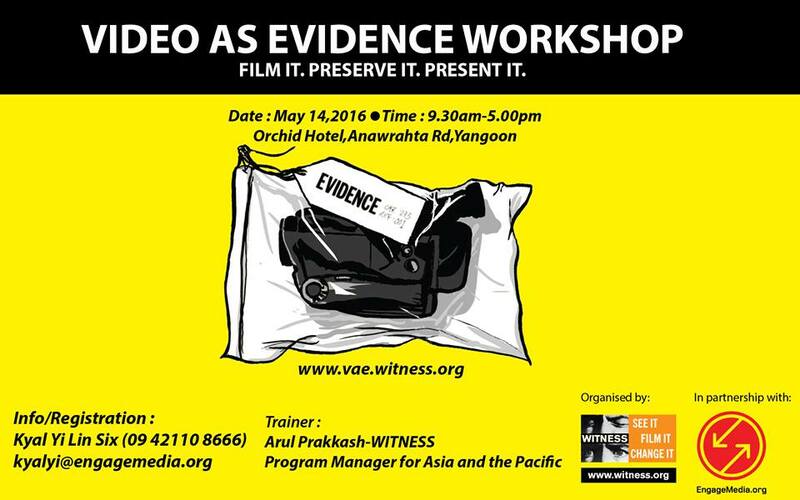 WITNESS presents the first Video As Evidence workshop in Yangon, Myanmar. Calling all filmmakers, activists, citizen journalists, NGO workers, community reporters, human rights investigators and lawyers. WITNESS presents the first Video As Evidence workshop in Yangon, Myanmar, in partnership with EngageMedia. Find out more about the Video As Evidence initiative here.